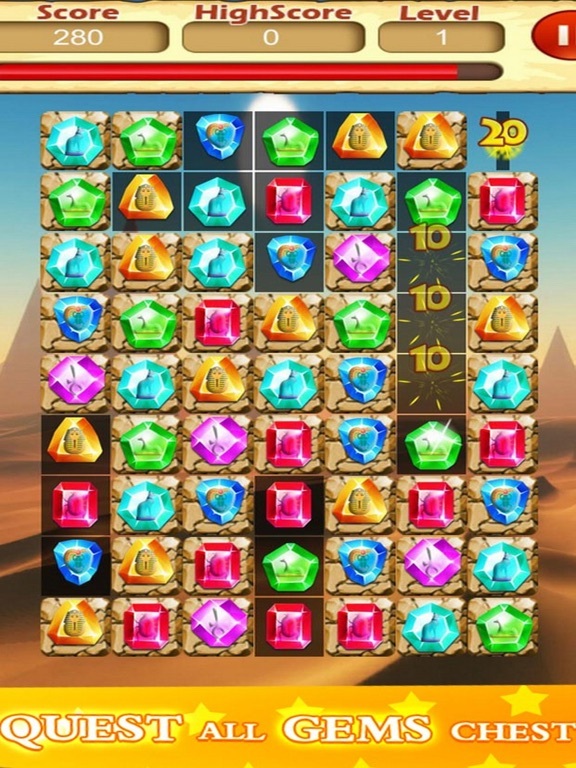 Treasure Jewels: Match 3 Legend is a classic puzzle game that will keep you coming back for more with hours of fun and brain bending puzzles! Match 3 gems in a row to smash them, and complete hundreds of challenging jewel-matching puzzles to collect coins and gem powers. 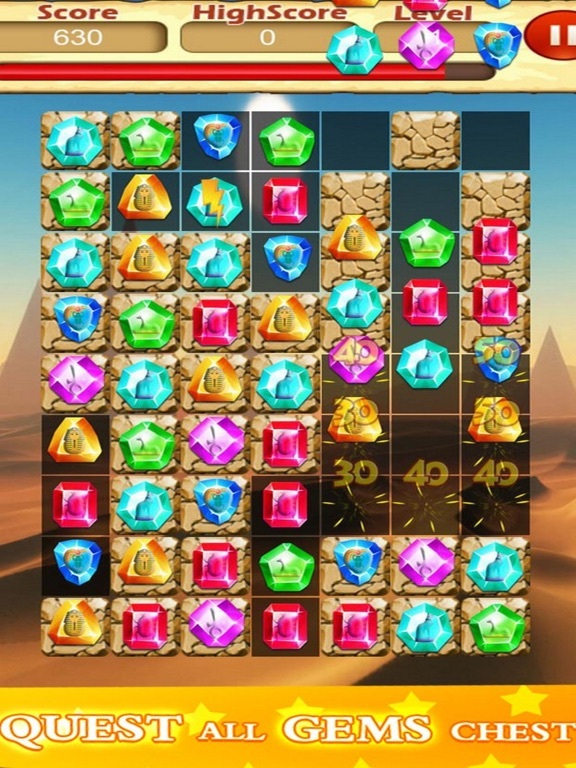 Explore a jewels temple in a quest to crush gems, break tiles, squash slime and reveal hidden treasure! 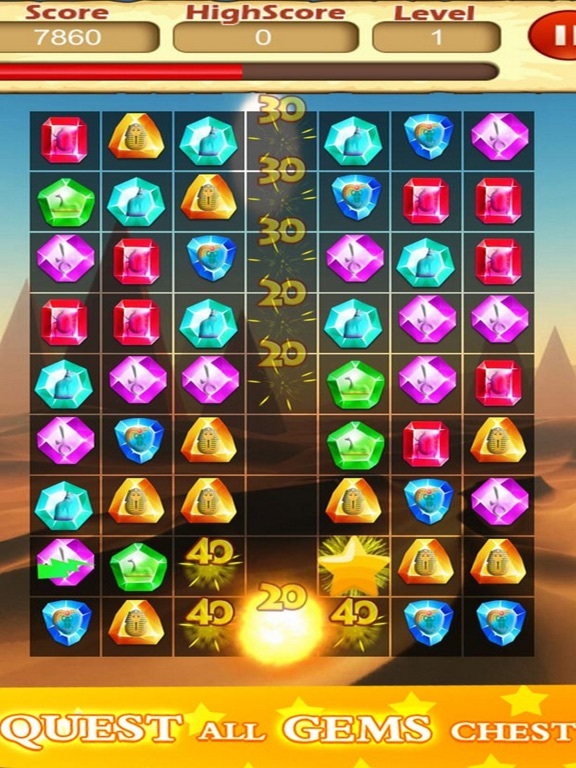 -- Share with your friends.